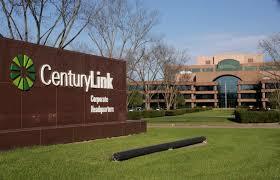 CenturyLink (NYSE: CTL) is tuning into the growing mobile nature of its business customers with its Business Communicator app, allowing customers to connect their VoIP users to their unified communications (UC) services from computers and devices. With the Business Communicator, a business’ employees can launch their UC tools from a common user interface when working inside the office or at a remote location. CenturyLink’s VoIP solutions include a wide range of features and functions such as high-definition voice and video calling, conferencing, desktop sharing, instant messaging and presence. The Business Communicator is one of the latest additions to CenturyLink’s voice portfolio that’s offered on BroadSoft’s BroadWorks platform. This platform enables CenturyLink to offer a mix of supported and fully managed versions of its Hosted VoIP, a cloud-based VoIP, and SIP trunking services, and a VoIP service operated by on-premises equipment. Additionally, CenturyLink also offers business customers across all market segments a full range of UC tools that leverage the BroadWorks platform.